Enthralling facts about Asian Games 2018 - Codeholic IT Services Pvt. Ltd. The Breaking news of the week are coming from the grounds of Asia games. 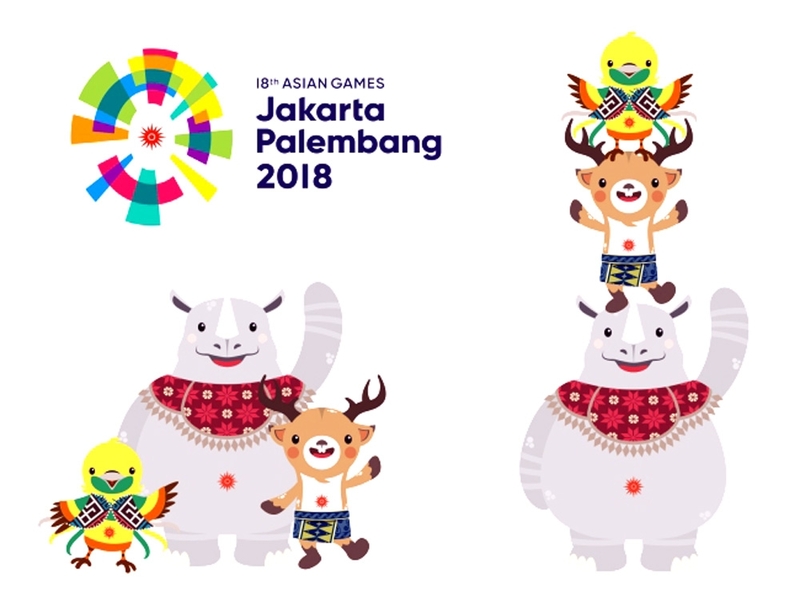 The Asian Games 2018 are being held in Jakarta which is the Largest city of Indonesia. The first Asian Games that were hosted by Indonesia was back in 1962. In between all this span, a lot has changed both outside and inside the stadium. Let’s have a look at some interesting facts about this Grand Continental Sports Event. Alike the Olympics the host countries for these are decided by a bidding process. The nation with the majority of votes is elected. The bidding starts a long way back, but this time the ball of Asian Games juggled through a lot of hands. Back in November 2012, Hanoi (Vietnam) had won the bid against Surabaya (Indonesia) and Dubai (UAE). Although, UAE’s Olympic committee denies any application for hosting the games and rumored last-minute pullout. In March 2014, Vietnam got concerns about hosting the event and on 17 April 2014, they officially withdrew their name. The poor economy and unpreparedness were stated as the major reasons to step back. The Olympic Council of Asia (OCA), took Indonesia, China, and UAE under consideration. India and Philippines also showed interest in the hosting but India failed to submit for the late bid. Finally, four Indonesian Cities including Surabaya and Jakarta were toured by the OCA. On 5th May 2014, after Surabaya dropped their name from the list, Jakarta, with the support of Palembang signed the contract. 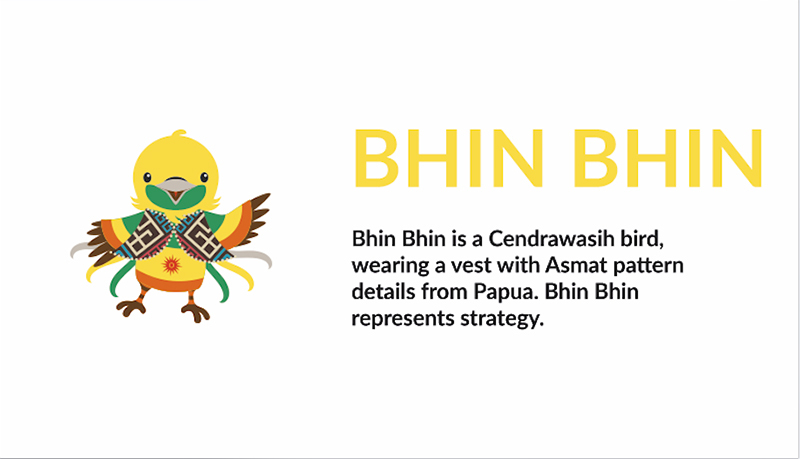 The three mascots Bhin Bhin, Atung, and Kaka are named after Indonesia’s official national motto i.e., Bhinneka Tunggal Ika. The emblem was unveiled in September 2015 for the first time, depicting a Cenderawasih (a rare bird species) of Indonesia. The design was discarded after facing a lot of criticism for its outdatedness. Some people also trolled it saying that the Cenderawasih looked more like a chicken. The final design titled ‘Energy of Asia’ came out on 28th July 2016. It is modeled upon the venue of the Games; the Gelora Bung Karno Stadium located in Jakarta. This stadium was built in 1962 specifically for hosting the Asian Games 1962. 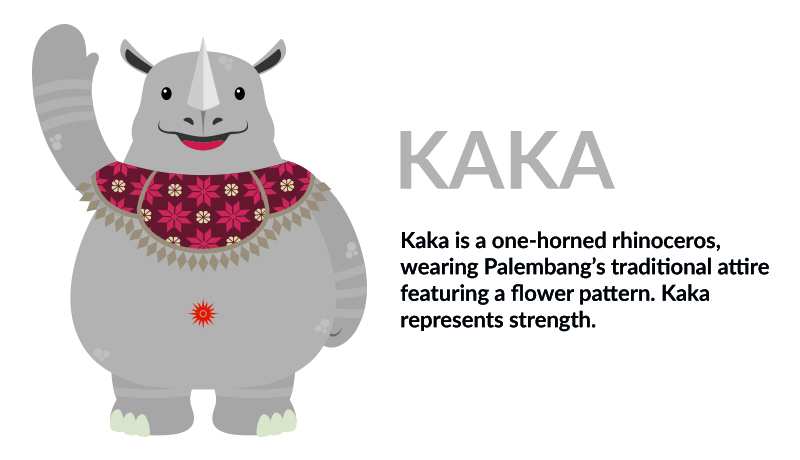 The colorful emblem and the three mascots were designed by Feat Studio, Indonesia. 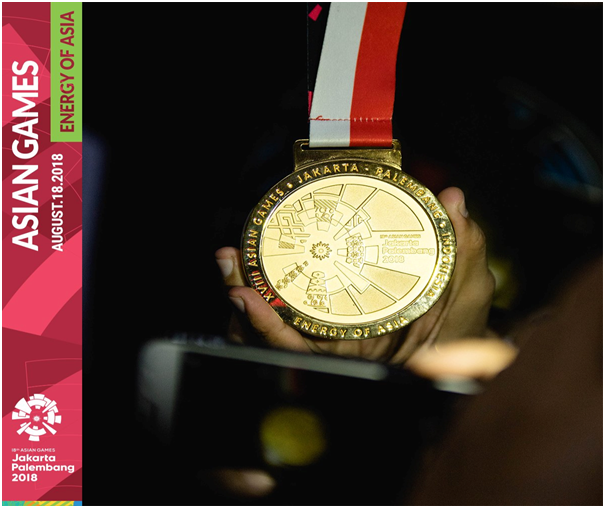 Indonesia Asian Games Organizing Committee (INASGOC) released the medal design to the public in July 2018. 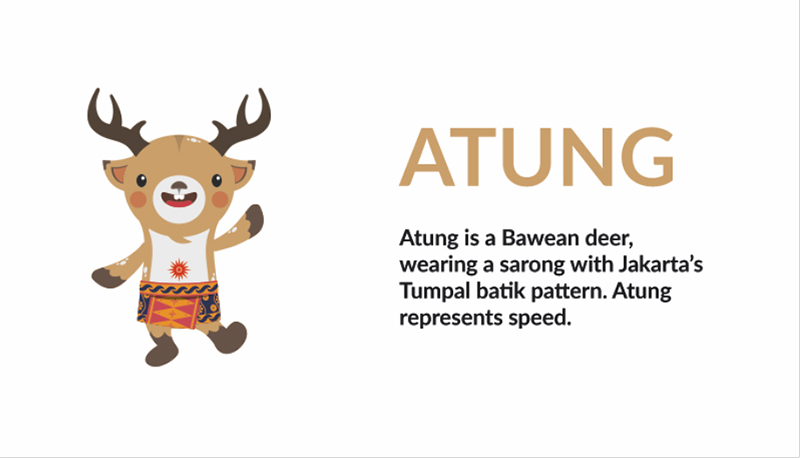 It consists of Asian Games Logo and Batik style of all regions that represent cultural diversity and unity of Indonesia. 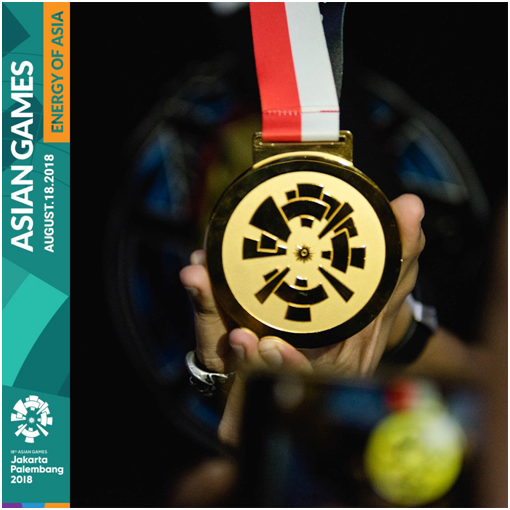 Asian Games are World’s second largest multi-sporting event after Olympics. Therefore, the budget allocated for it is estimated as $3.2 billion. The Games had the most expensive opening ever with a budget of IDR 700 billion (USD 48 million) and a cast of 10 thousand performers. In a press conference, the Creative Director of the opening and closing ceremony of the 2018 Asian Games claimed the stage to be the biggest ever, even if compared to any Olympic Ceremonies of the past. As a part of the Game’s preparations, a lot of new infrastructure has been developed and the older one is renovated all across the cities of Jakarta and Palembang. There will be 80 venues in total for both competitions and training. The Athlete’s Village built in 10 Hectares of land at Jakarta has 10 towers with 7424 apartments inside them. The accommodation capacity of these is 22,272. which even exceeds the International Olympic Committees standards to provide rooms for 14000 Olympic athletes. 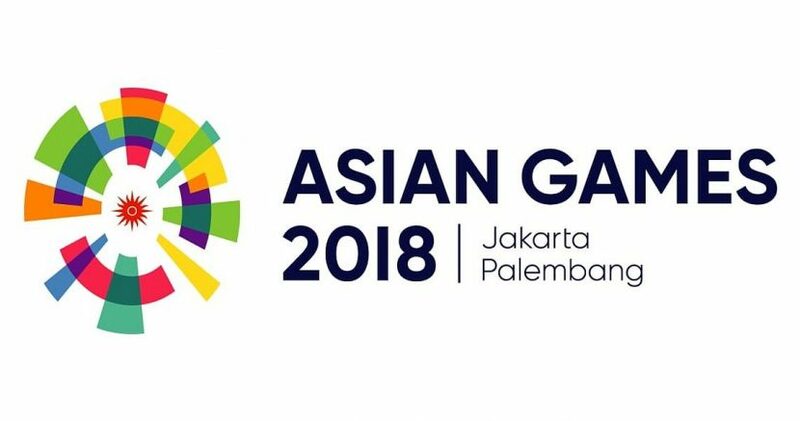 So far, the 2018 Asian Games seem to set new records in the Sports History with Indonesia’s fascinating hosting style and the power-packed performances by the athletes.